Blockbuster art exhibitions: there’s a reason they’re popular, but many reasons they aren’t, too. Hours of travel, negotiating queues, peering through the crowds, puzzling over tiny wall texts. The popularity of a show can sometimes be to its detriment. Many of us who are lucky enough to work in museums and art galleries know there’s a whole different experience possible: that after-hours walk around with a curator or artist, where you hear the inspiration behind each piece, the intellectual premise of each room. What does that mean? Why that colour? Who is that? The Royal Academy – an institution run by artists – has a reputation for blockbuster shows focusing on our greatest living creators. Those artists – whether David Hockney, Anish Kapoor or Anselm Kiefer – work closely with our curators to bring the show together. Hundreds of hours of travel, design, anecdotes, painful logistics – all get locked up and released, bit by bit, at lectures, patrons tours, in catalogues, multimedia guides. And then after three months and several hundred thousand visits, all the works get carefully packed away, and shipped back off around the world to their host museums and private collections. It’s an expensive business. So – how could we use technology to extend the reach and breadth of an exhibition; to recreate as closely as possible the ‘traditional’ gallery visit; to bring the skills of documentary filmmaking together with the user-directed, non-linear throughways of the internet; to experiment with nascent(-ish) tech like virtual reality? 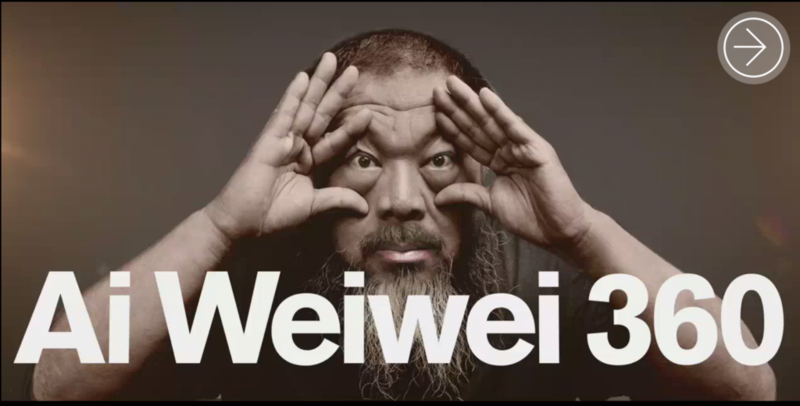 Our big Ai Weiwei show offered a great opportunity for this. The Chinese artist is an enthusiastic adopter of technology; his sculptural, conceptual pieces repay thorough study and encourage debate about meaning, value and politics. 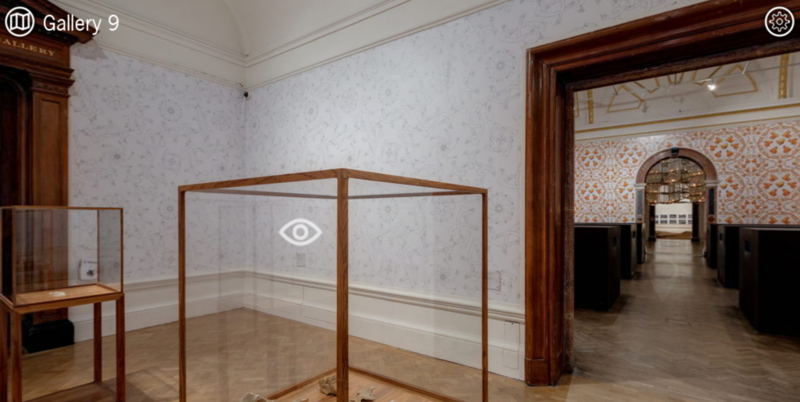 Ai Weiwei 360 – a coproduction by the Royal Academy and The Space, made by Animal Vegetable Mineral with Fish in a Bottle – tries to capture the experience of visiting our site in London, to see the unique exhibition that lived in our building for three months in 2015. A browser-based experience is enhanced by accelerometer-driven mobile experiences, alongside additional stereoscopic 3d experiences crafted for Google Cardboard and Samsung Gear VR. The ‘visitor’ is invited to explore the show at their own pace and in their own order. 50 unique videos from the curators and the artist explain every single piece in the show, while specially composed soundtracks accompany the viewer. Google Cardboard and Samsung Gear VR versions enable VR early-adopters a fully-featured visit. Over 50 specially commissioned videos tell the stories behind each piece. 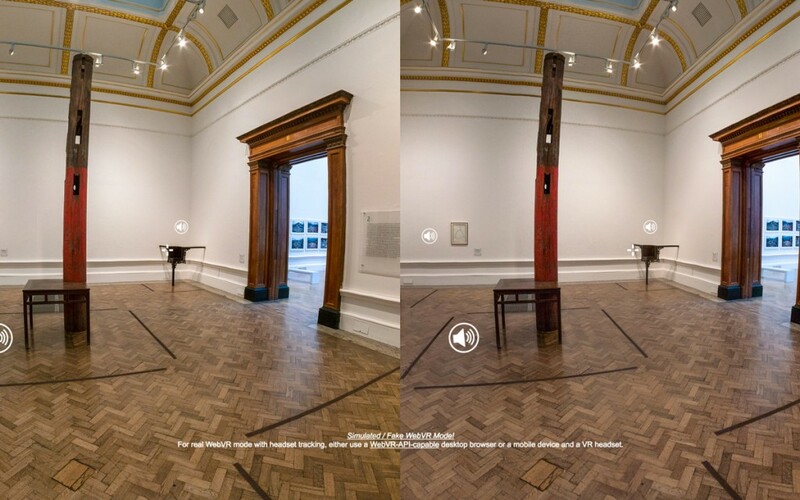 This experience uses technology to extend an almost quite traditional art gallery experience – a location-specific 21st-century story, told throughout 19th century galleries. The curators and artists get the space to tell their story, and audiences around the world get the opportunity to experience something that has now disappeared for good. Whether on desktop, phone or tablet the experience is rich and seamless. We’ve had a great response to the online experience – over 80,000 users have experienced the exhibition so far, and it has received one of the highest ever ratings on BBC Taster, a platform for experimental digital projects. 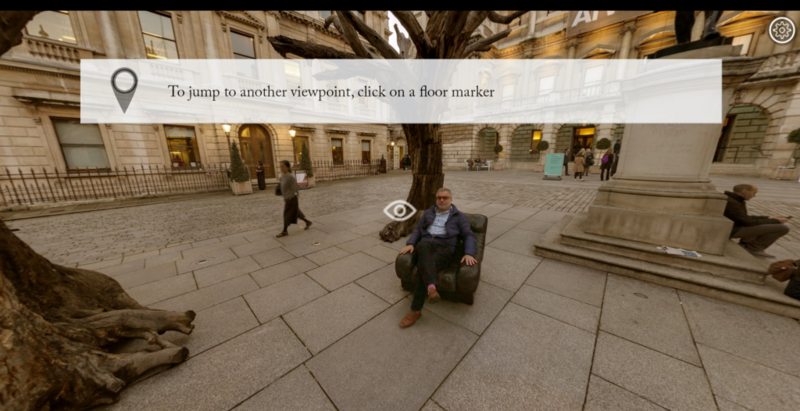 For the RA, it’s given us a new insight in how digital and physical can work together and complement each other. We’re looking forward to our next VR experiment!